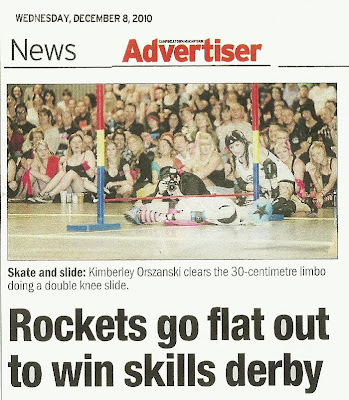 On December 8th 2010, to discuss all things Derby ! 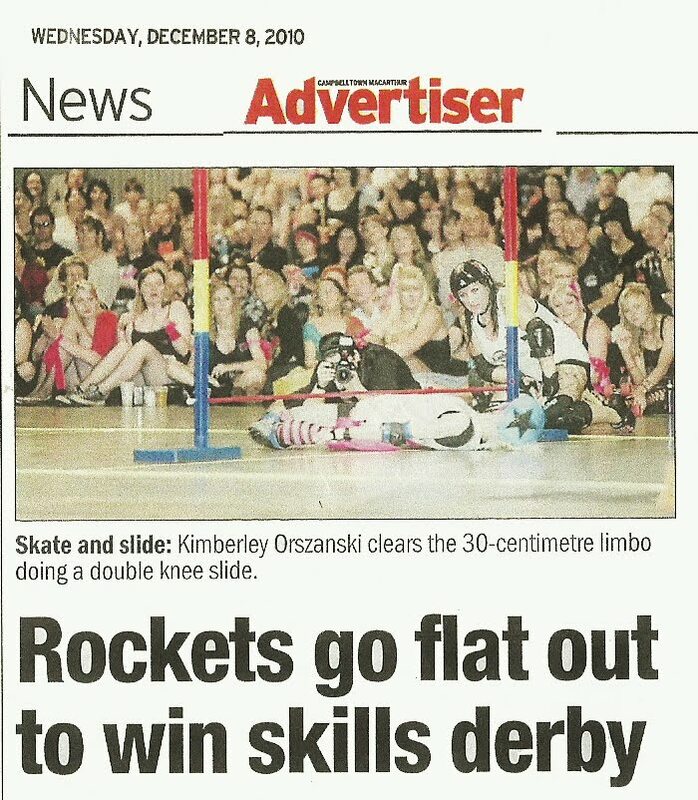 Kimakaze was an SWSR Red Bull Roller Rager who participated in a Derby Skills comp in QLD seeing SWSR take home 3rd place and Kimakaze taking home 1st in the limbo / derby slide comp. Kimakaze is also one of SWSR's star Jammers ! !